MRS extends sincere thanks to our sponsors, who help make the conference possible. divide between global questions and human answers. Every day, millions of questions are answered via Lucid’s programmatic marketplace – enabling anyone, in any industry, to get real answers. Lucid’s clients can ask questions of targeted audiences and measure the effectiveness of their digital advertising. This authentic, first-party data drives powerful insights, in real-time. Lucid is headquartered in New Orleans with offices in London, New York, Gurgaon, and Sydney. Quadrangle is a customer consultancy. We use insight to develop an understanding of what matters to customers to help brands create and implement customer-led strategy and track how they are performing. We work with brands seeking an open dialogue with their customers to help them understand, prioritise and play into what matters. We put the focus on customers – the people who decide how and why they spend their money. They're why we are so passionate about our work, and always will be. Our work draws on more than 30 years’ experience spanning research and insight, brand marketing, performance tracking, analytics and strategy consulting. We bring creative spark and zest, cut with sound commercial nous to every project; entrepreneurial imagination is the attitude at the heart of Quadrangle. The result? A full range of integrated intelligence services at global scale, married to deep sector, issue and methodological expertise, delivered with an entrepreneurial spirit and client-first mindset. Toluna is committed to promoting Insights on Demand, an entirely new way for businesses to obtain insight and understand constantly shifting consumer sentiment and taste in the on-demand economy. Toluna is a founding member of the Insights on Demand Consortium, a multi-lateral group that’s advancing the principles and adoption of Insights on Demand. The company has 24 offices globally spanning Europe, North America, South America, Asia Pacific, and MENA. GlobalWebIndex is a market research company that provides audience insight across 45 countries to the world’s largest brands, marketing agencies and media organizations. It has offices in London, New York, Los Angeles and Athens, with plans to expand even further afield in 2019 and beyond. The company maintains a global panel of more than 22 million connected consumers, which it leverages to create over 35,000 data points on the behaviors and perceptions of internet users around the world. All in all, GlobalWebIndex offers aggregated data representative of 2 billion digital consumers on a global scale. Clients including Twitter, Google, Spotify, WPP, IPG and Omnicom Group can gather in-depth insights into audience behaviors, perceptions and interests through a combination of survey and analytics data using the GlobalWebIndex platform. Those looking for even more bespoke research can enrich the GlobalWebIndex core data using a range of custom solutions, such as brand trackers, segmentation and concept testing, among others. Cint is a technology company delivering solutions that transform and accelerate how marketers and researchers gather insights. Cint’s mission is to power greater efficiencies within the sample supply chain, leading to smarter, faster, more cost effective access to insights. The company’s Sample Management Platform is the world’s only solution built to enhance sample procurement, sample fulfilment and panel management functions. At the core of Cint’s Management Platform is the Insight Exchange – a fully transparent panel marketplace, connecting marketers and researchers to over 1,500 panel providers worldwide. Helping more than a billion peopletake action to improve their health and well-being by 2020. Since 2010 we have been taking action through the Unilever Sustainable Living Plan to help more than a billion people improve their health and well-being, halve our environmental footprint and enhance the livelihoods of millions of people as we grow our business. We have already made significant progress and continue to expand our ambition – most recently committing to ensure 100% of our plastic packaging is fully reusable, recyclable or compostable by 2025. While there is still more to do, we are proud to have been recognised in 2018 as sector leader in the Dow Jones Sustainability Index and as the top ranked company in the Globecan/SustainAbility Global Corporate Sustainability Leaders survey, for the eighth-consecutive year. Confirmit enables organisations to develop and implement Market Research, Voice of the Customer, and Employee Engagement programmes that deliver insight and drive business change. Confirmit’s clients create multi-channel, multi-lingual feedback and research programmes that engage customers, empower employees, deliver a compelling respondent experience, and provide high Return on Investment. We understand that MR companies are under constant pressure to deliver results in the most cost-effective way. Because our platform spans the entire survey project lifecycle, we can drive efficiencies, cost-savings, and quality throughout the entire course of your programmes. Our Confirmit Horizons platform supports the research project lifecycle from survey creation to results delivery, enabling you to take advantage of the most complete, feature-rich, and robust MR software available today. We are uniquely able to support hundreds, thousands, or millions of respondents thanks to the scalability of our platform. IQR helps our clients make timely strategic decisions by providing them with quick, reliable data. As one of the UK’s largest market research call centres, IQR specialises in computer-based telephone surveys (CATI). We help our clients access hard to reach audiences that other research approaches cannot deliver as accurately. Since 2017 we have conducted over 144,000 CATI surveys, across 20 industry sectors. Our centre leaders have over 50 years of combined experience in delivering high quality data. 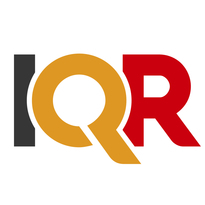 IQR is a Market Research Society Company Partner and complies with all privacy and data protection legislation. The leading provider of data collection and research services for your studies across the UK. ISO certified, we recruit for and diligently manage any kind of study, including online, on-phone and in-person solutions. We place your studies in our high-specification UK, European, and US facilities or in our partner facilities. RONIN International is a data collection agency, conducting multi country online and CATI research in over 30 languages from our UK survey research centre. A fieldwork pioneer in healthcare professional panels, global B2B and customer satisfaction studies, with over 20 years' experience delivering complex International projects. Questionnaire programming and hosting, translation, sampling, fieldwork, coding through to final data or tables delivery are our core services. Our approach covers phone and online and increasingly utilises the integration of traditional and innovative approaches. RONIN successfully conducts study-specific recruitment and research across all main markets in Europe, North America and APAC, often with ‘hard to reach’ and ‘niche’ participants. Through integrating traditional sample lists with online panels, digital audience mapping, social media monitoring and phone recruitment, potential participants are identified based on socio-demographic, behaviour and attitude criteria. They are also contacted in their preferred environment. Whether looking for global Opinion Leaders, busy Business Executives, specialist Healthcare Professionals, Patients or Tech Developers and Data Scientists, we support our clients’ research challenges by identifying, selecting and inviting to survey any type of respondents – in a Qual fashion but on a Quant scale. MIS provides both Quantitative and Qualitative field solutions. With our highly-qualified proprietary panels consisting of over 1,000,000 panellists worldwide, we can sample and recruit respondents for any kind of project. Our triple opt-in panels (yes, you read right!) in the UK and in France have been providing the research industry with answers for over 17 years. Quality makes a difference! An indulgent experience with RP Translate… you can sit back and relax when it comes to the Translation aspects of your global research. Thanks to our highly expert and award-winning team, we have been going above and beyond with our comprehensive Market Research language services for over 20 years, working towards our clients’ success. Find out what it’s like to have time to focus on what really matters in your research: consistent, accurate and actionable global insight. Until now, what actually happens in real life stores leading up to a purchase is like a data black hole. Shopper Intelligence provides systematic measurement of shoppers in packaged goods, benchmarking across all major categories and retailers in the UK since 2011 including discounters and on line. In 2019 we are adding to our existing survey driven data a world first measurement of in-store behaviour. Brand new AI driven technology allows us to measure interactions in great detail across the entire store with thousands of “real life” shoppers, benchmarking all categories, displays, and gondola ends right down to brand level. At a base level you get your category/segment/brand “conversion funnel” in quantitative terms, which tells you exactly where you win or lose the shopper at the moment of truth; compared to others. From their you can compare different instore executions to measure what works best. The unique aspect of the Shopper Intelligence ‘s subscription database is that each category is explained in context with all the others. The ability to say exactly how it differs is key to persuasive proposals to retail buyers or senior management. Acumen are an award winning fieldwork agency who take the intelligent approach to managing your research projects. Our teams of specialist fieldworkers provide expertise in all methodologies including qualitative, quantitative and healthcare. We work with you at every step of your project to ensure that your project runs smoothly from start to finish, overseeing everything from large logistical challenges to the smallest of details; allowing you to focus completely on gathering the insight you need. Whether your research is taking place in the UK or in international markets our team of project managers are on hand to help – acting as a single point of contact with suppliers in multiple continents, ensuring that all of our fieldwork is delivered within the time frame you need and to the high quality standards that we’re renowned for. Kadence is the UK’s fastest-growing MR Agency (2017) - and an award-winning, global boutique insight consultancy. Our mission is to deliver evidence-based ‘Insight Worth Sharing’; ensuring our work impacts the hearts and minds of those who need it the most, through the delivery of uniquely crafted, engaging and actionable deliverables which our clients can immediately share throughout their businesses. Customers are at the heart of our consultancy. Our unwavering focus is on identifying authentic stories to help our clients deliver better experiences, and cementing stronger, more profitable relationships. We have the fortune to speak to motorcyclists sitting in Jakarta’s infamous traffic jams; Saudi youths about their more sensitive media consumption habits; international businessmen experiencing luxury at 30,000ft; Croydon teenagers grabbing a burger for lunch; recently released prisoners about their credit-worthiness; Swedish and Russian tourists going to the Far East – we might have the best job in the world! A truly global association since 1947. ESOMAR is a not-for-profit organisation that promotes the value of market, opinion and social research and data analytics. We’ve been providing ethical and professional guidance and advocating on behalf of our global membership community for 70 years. Learn more about the data, research and insights industry – a more in-depth introduction.